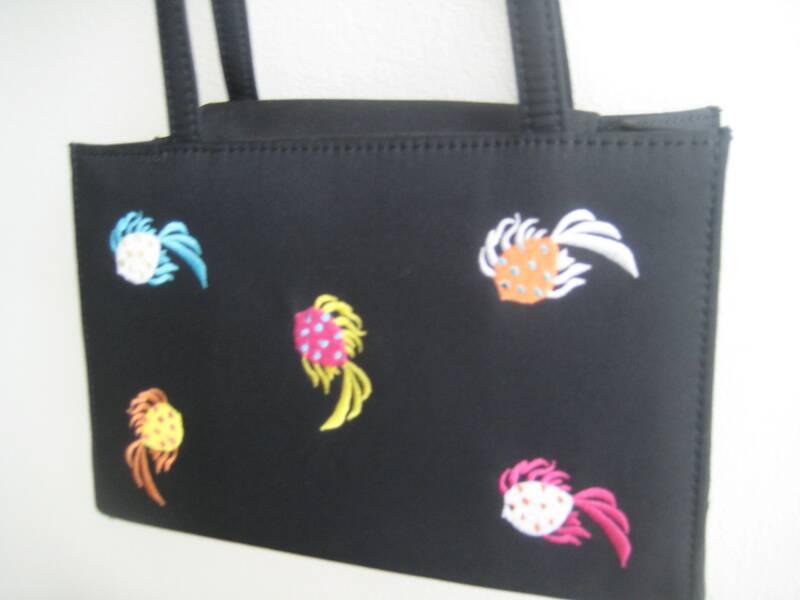 Sweet black fabric tote with 5 colorfully embroidered fish on each side! Two more fish on both ends. 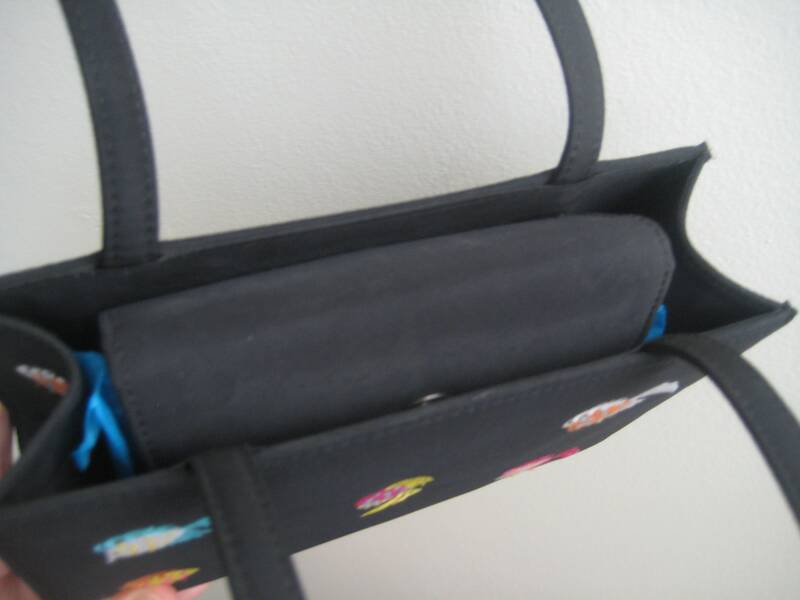 Fabric double handles with a 9-inch drop. Perfect length for over shoulder style as well as over the arm. Silver tone metal grommet footings on a wide stable bottom. 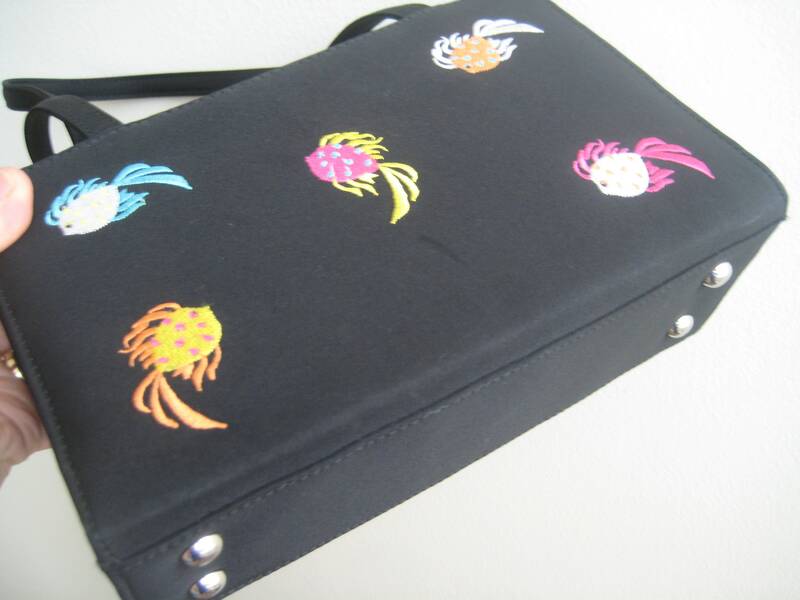 Flap closure with magnetic catch. 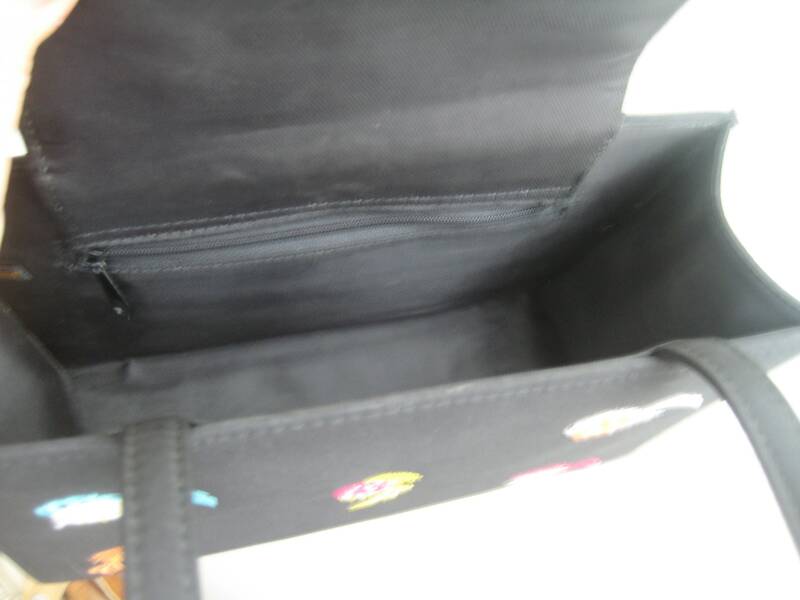 Roomy fabric interior for all essentials. No label. 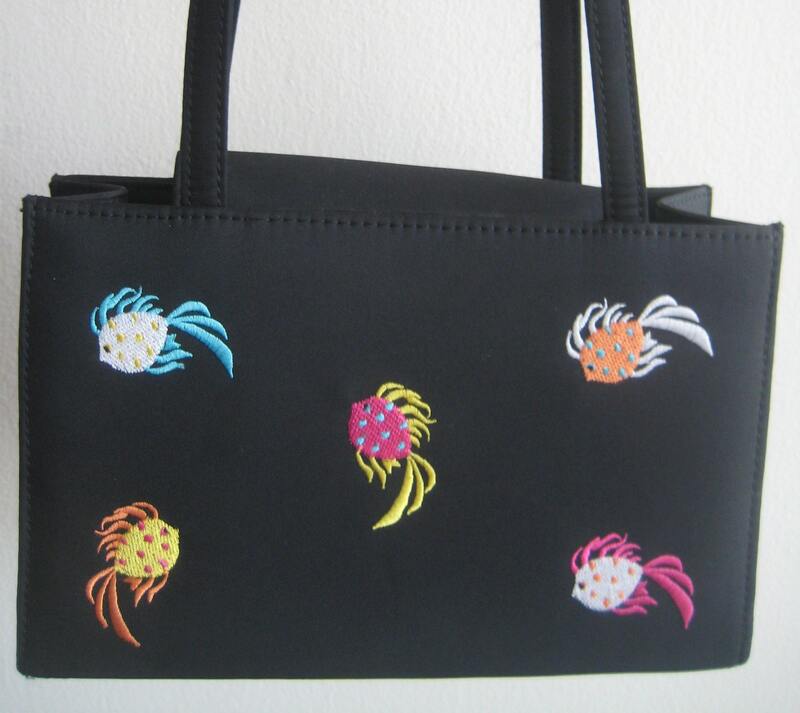 Adorable bag at a great price! Dimensions: 9.5 inches long x 6.5 inches tall x 3.5 inches wide.